This English tutorial is focusing on the modal verbs, “may” is a very useful verb. It is one of the most used modals and the most useful. It is used to denote the mood of a verb, giving it more nuance, more subtle meaning(s). 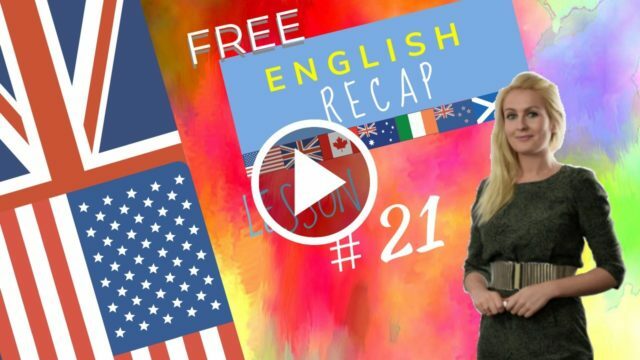 This English lesson 21 is focusing on the modal verb, “may”,the modal verb, “”will”” and the use of the future simple, with “”will”. May I suggest an Indian Restaurant in “Baker Street”? You may, I love Indian food. We will take a Taxi. It’s not raining, we will walk. Good idea Peter we can burn 200 calories. We will only eat 2000 calories at the restaurant. Will you order the food, I know you are an expert? I am not an expert but I know what I like. We will eat well. They will arrive in 20 minutes, it is drizzling rain and the pavements are clear. They choose a restaurant and ask for a table for two. They must wait for a quarter of an hour. The place is full and they are waiting for someone to leave. May I take your order, asks the waiter. Can I pour some water? You may, thank you. Let’s learn about 2 of the modal list verbs today! “may” is a very useful verb. It is one of the most used modal verbs. It is used to denote the mood of a verb, giving it more nuance, more subtle meaning(s). “may” is very similar to another modal verb, “might”. These modals can normally be interchanged as there is no significant difference in meaning between the two. Yes I will help you.